Further to the discussion on the Elements of Design as mentioned in the previous blog, I shall talk in detail about how your venture must become digit-TALL. It’s without doubt the digital age; and unless your venture doesn’t stand tall, you can’t be seen in the crowd. What can you do about this? Everything comes down to CONTENT, CONTENT and CONTENT. The more unique, innovative and yet researched the content is – better is the outreach and more people shall relate to your venture. This content is beneficial to translate into sales too. Yes! You may have read the line twice and no! We aren’t joking. Too often the focus gets on SEO and the freshness of the content gets sidelined. For a venture to keep being in the customer’s mind for a long time it is necessary to keep focus more on the content rather than on the SEO. Only when this happens will there be a seamless communicative flow, allowing your venture to be consistently stable in the language and tone. Remember one thing. Nothing lasts long. A decade back Print design was the in thing and now it’s the digital media. In the world of technology and advertising the singular phrase that must be kept in mind is – “This too shall pass”. Therefore, my appeal to you is to not to take everything too seriously so as to leave your venture unbalanced. Pick up the necessary knowledge, skills and understanding of the market and keep reinventing yourself (this applies to your design agency too). Success-driven ventures are those that engage with communication design agencies that are not rigid to change and yet good at balancing out on all fronts. As a start-up if you are collaborating with such a design studio you are assured to get the best advantage of consistency. 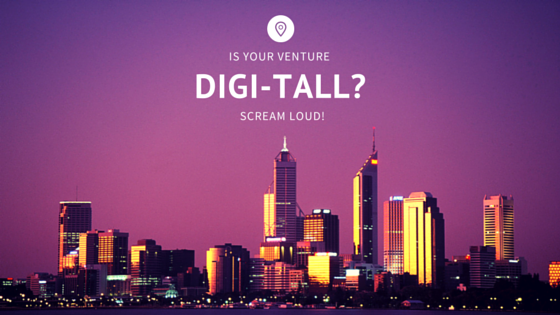 Great reading for #startups #entrepreneurs to stand TALL Digi-TALLy!